For Pharmacists, Online Drug And Pharmacy Stores. 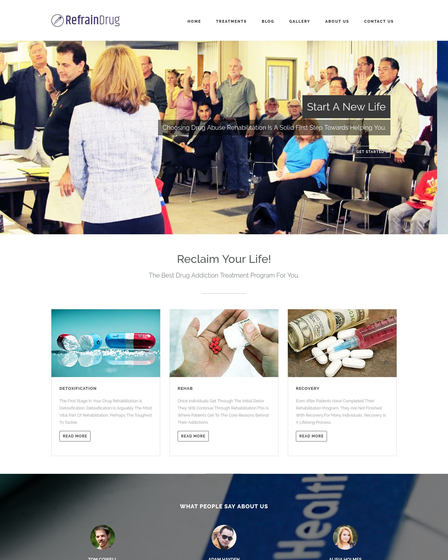 Want to create a private drug store website and boost your drug store marketing? 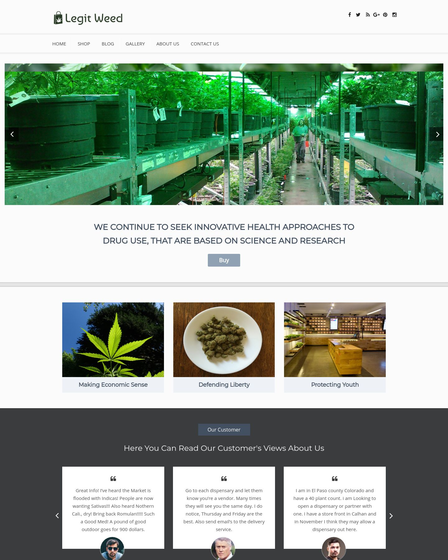 Drug Store WordPress Theme is a perfect solution for drug marketing, wholesalers, retailers, supplier, manufacturers, and pharmacy stores. 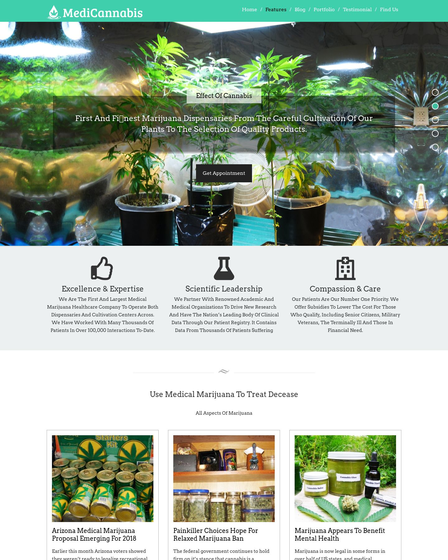 This theme is designed for pharmacists, drug instructors, online drug, pharmacy stores, and drug prescription services. 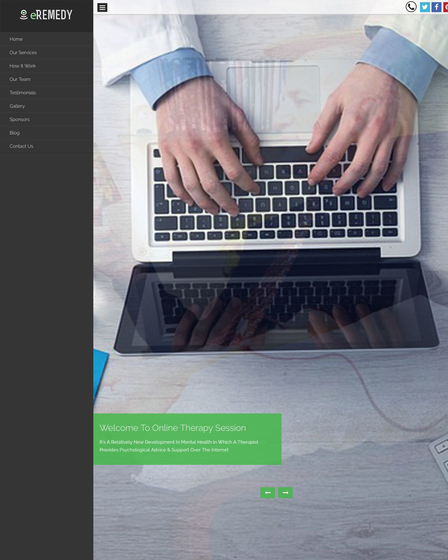 If you are a pharmaceutical drug Supplier, render drug therapy services, and offer personalized prescription on pharmaceutical products, then you can build a perfect website for your business using this theme. Feature your products in slider area let your clients see all pharmaceutical products through a slideshow. Tells your visitors about services provided by you such as pharmacists, drug curing, prescription, and etc., in four column feature area. 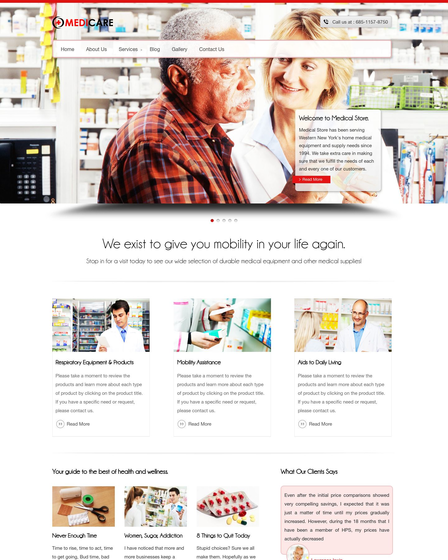 Drug Store WP theme has a separate gallery section to showcase all your over-the-counter drugs and other products. If you are keen on selling your products through content marketing, this theme also provides you with a blog section so that you can promote your products through there and generate more revenue from your business. Fully Responsive and all device ready. Perfect for Drug and pharmacy store. Business tagline and website welcome note. Business Client logos section on the front page. Upload your custom logo and icon.